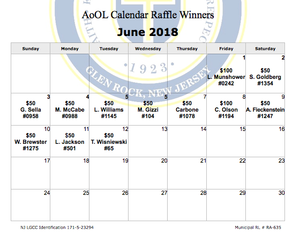 Congratulations to this week's winners and thank you to everyone who supported the raffle! Academy of Our Lady will open at 10 am on Thursday March 22. Morning Care will not be available. Students will not gather in church, but instead go directly to their classrooms. Only those parents of preschoolers who usually drop off at the bell tower, please use the Rodney Street entrance. Academy will be closed tomorrow, Wednesday, March 21 due to impending snow. There will be no after school activities. Due to weather conditions and power outages, school will be closed tomorrow, March 8. IOWA testing will resume on Friday, March 9th. Be safe.